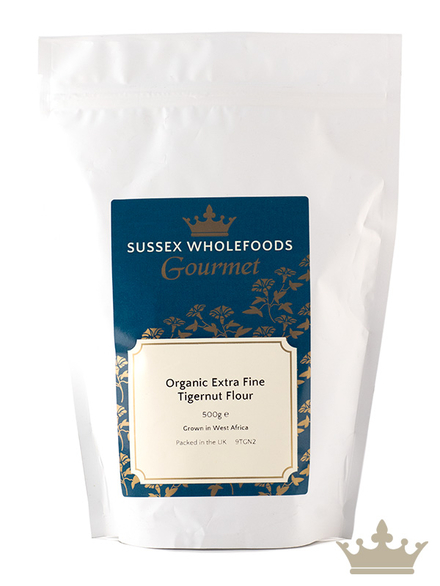 Extra Fine Tiger Nut Flour, Organic 500g (Sussex Wholefoods Gourmet) - HealthySupplies.co.uk. Buy Online. Contains good fats, minerals and vitamins E & C.
Adds a deep, flavourful element to baking. Stir into porridge, add to pancake or waffle batter. Whizz into smoothies and hot milky-type drinks. Tigernut flour is a fantastic, naturally gluten-free alternative to wheat flour, and has a beautiful nutty sweetness as its natural sugar content is higher than most flours. This makes it far less necessary to add extra sugar when baking biscuits or cakes, so it’s excellent for diabetics and health-conscious bakers who don’t want to sacrifice taste. 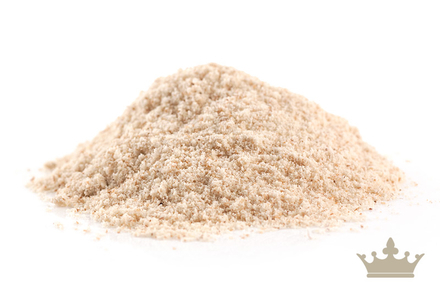 This extra-fine flour has lost none of its nutrients in the milling process. Tigernut flour is especially suited to pastry making and is ideal for no-bake snack-making, such as energy balls. 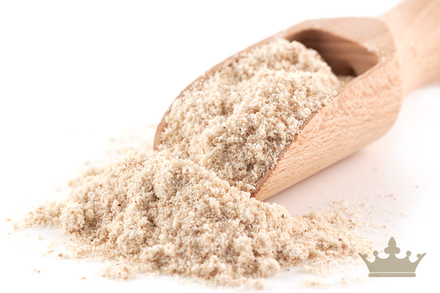 This tigernut powder can equally be used to add fibre, texture, sweetness and nutrition to a morning smoothie or bowl of porridge. Organically grown Tiger Nuts [Cyperus Esculentus]. Prepared in Spain, Produce of Niger/Bukino Faso.